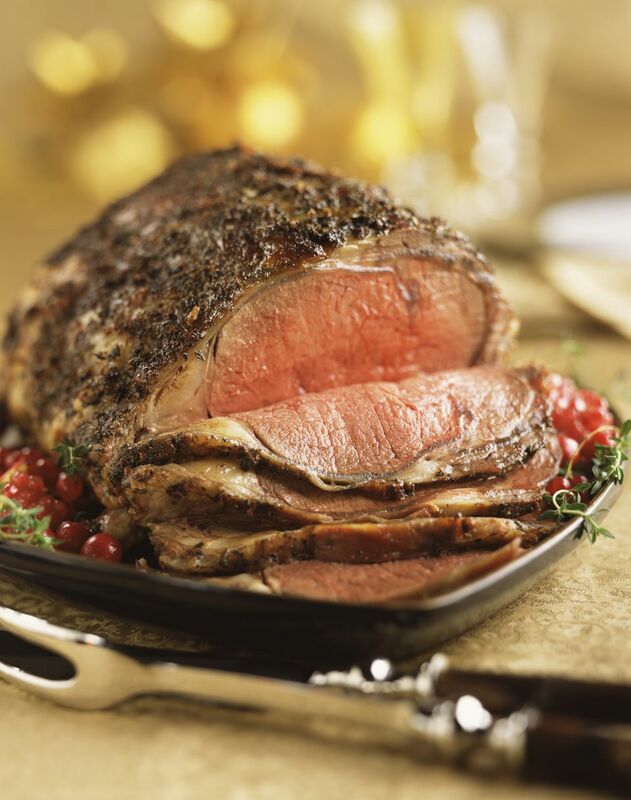 Classic prime rib roast makes an impressive dish for any occasion. Do not overcook or you will ruin an expensive piece of beef. To ensure even cooking, roast must first be left at room temperature (about two hours) before being placed in the oven. Place oven rack on lower level. Heat oven to 450 F. Rub roast all over with salt and pepper. Transfer to heavy 13-by-16-inch metal roasting pan. Arrange fat side up. Place short ribs in pan. (A nonstick pan will yield fewer cooked-on bits for flavorful juices.) Cook 20 minutes. Reduce oven to 325 degrees F. and continue cooking until an instant-read thermometer inserted into the thick end of roast (not touching a bone) reaches 115 degrees F., about 1 hour and 25 minutes. If it hasn't, return to oven; check the temperature at 10-minute intervals. Transfer roast to platter; set aside in warm spot for juices to collect. (As roast rests, the temperature will increase about 10 degrees.) Adjust oven to 425 degrees. Pour fat and all drippings out of the pan into a fat separator, and set aside. Place roasting pan over medium-high heat. Pour red wine into pan; scrape the bottom with wooden spoon, scooping up crispy bits to deglaze the pan. Cook until reduced by half, 5 to 8 minutes. Place a fine sieve in a medium heatproof bowl. Pour juices into a strainer. Using a wooden spoon, press down on solids to extract juices. Discard solids. Cover bowl tightly; keep warm by placing in a barely simmering saucepan with 1-inch water. Reserve pan drippings for Yorkshire Pudding.